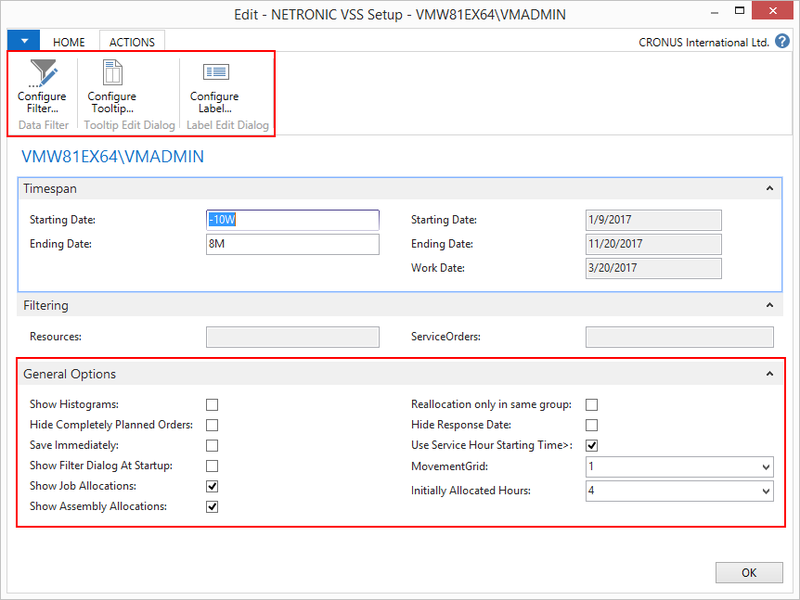 Over the past year, a great deal of work went into optimization and enhancement of our Gantt chart add-in for visual service planning in the Microsoft Dynamics NAV Service Module, the Visual Service Scheduler (VSS). Of course, these comprehensive modifications and enhancements also have to be reflected in the add-in's documentation. This is why we have done a profound overhaul of the entire VSS manual, formerly known as "Quick Start Guide". Naturally, with the modifications being so comprehensive, the guide also became more and more extensive, stopped being a mere start-up aid and instead became a "full-grown" manual. This blogpost wants to inform you about the new manual being available for download on our website as of now while at the same time give you a short review of some of the most important features having been added to the VSS. The "Setup" dialog was enhanced by a set of new functions, some of them already having been described in a corresponding blog post. Moreover, you now can individually specify filter settings, tooltips and labels. 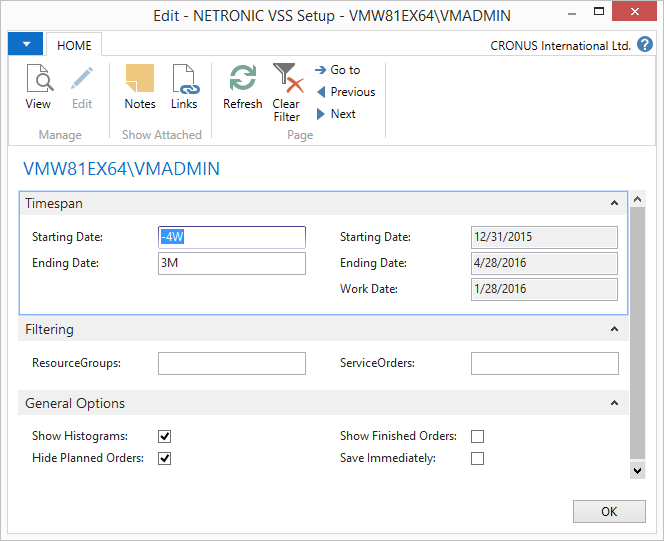 The context menu was enhanced by options to recalculate successors and/or predecessors of a bar having been moved. In the VSS, skills that are needed for a certain taks and that are being offered by one or more resources are indicated by a hat symbol which is either filled if an employee offers all needed skills or is not filled if only part of the skills is offered. 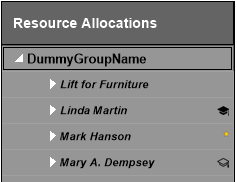 Together with the already known option to show the preferred resource by a little star next to the resource's name, indicating skills matching the requirements of a certain Service Item gives the planner valuable decision support while at the same time he gains more agility. 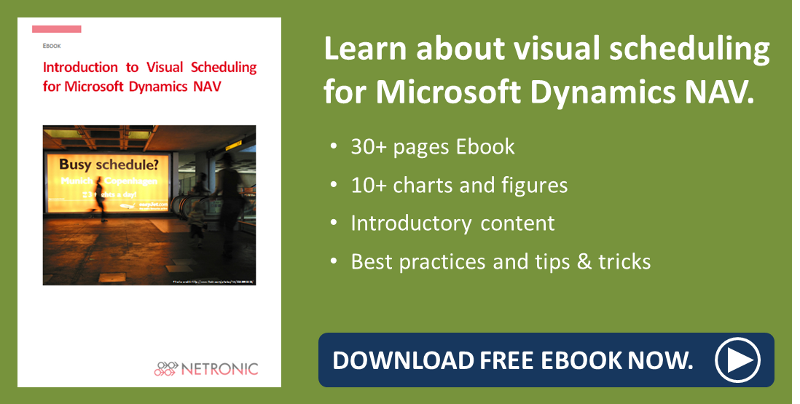 For more information on this topic read "Improve Service Quality in Dynamics NAV - Allocate Preferred Resource". Click here for the revised manual and additional information on the VSS like the latest Release Notes and some interesting FAQs.